The temporary work is an element of the city’s greater master plan for the South Philly green space. The essence of Franklin Delano Roosevelt Park — a fulcrum of history and ecology in South Philly — will soon be conveyed through public art. 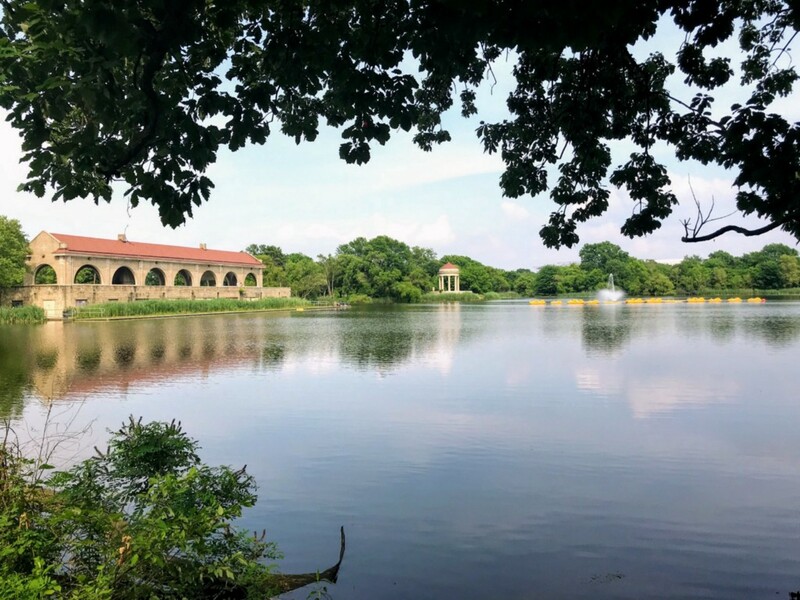 As the Fairmount Park Conservancy continues drafting plans for its nearly five-decade master plan of the green space, a project that was introduced in June, the nonprofit has decided to weave creativity into its latest feature. Made possible by a Climate and Urban Systems Partnership, or CUSP, grant, the conservancy’s arts and culture initiative, a recipient of the the Community Development Investments program of ArtPlace America, announced last week a call for artists to produce an outdoor and interactive form of public art, ranging from sculptures to multi-disciplinary designs. “The whole point of the (ArtPlace) was to consider arts and culture more deeply in our works, make them more embedded in our process and to think about how we can use artists and art to deepen our community engagement to improve our work and get more creative work,” said Lindsey Walker, park stewardship coordinator for the Fairmount Park Conservancy. Since the majority of the master plan will be fostered through community input, Walker says the art, no matter the medium, should reflect the past, present and future of FDR. However, the work must emulate messages of climate change, specifically illustrating the environmental impacts FDR could face over the next century considering its hydrology. Some of the park, which naturally acts as a marsh, is below sea level and its lakes are connected to reserve basins in the Navy Yard where the Delaware and Schuylkill rivers meet. While the conservancy is certain the park will flood more in the future, the team of environmentalists is planning around that inevitability in the master plan, striving to figure out how to plan with flooding and use the flooding. After the Sept. 13 deadline for submissions, the conservancy, along with the Parks and Recreation Department, will choose the most fitting artwork for the task. From mid-September through mid-October, the selected artist, or artists, will consult with the conservancy, parks and rec, Friends of FDR Park and climate educators to bring their ideas to life by visiting the park, developing a curriculum and ultimately installing the piece. On Saturday, Oct. 20, also through CUSP, the conservancy will host a “Family Day” where environmental educators will inform the public on climate change using the art as a premise of the lesson. Walker says the artwork will be temporary and a set end date has not been scheduled. Although the work isn’t permanent, the public art is the epitome of the process behind the FDR master plan, gauging local residents’ interaction in an even more intriguing way than simply a meeting. Submission artists are required to submit four to six images that best illustrate previous work. If applicable, include work that demonstrates your ability to produce outdoor temporary work, a short narrative proposal (maximum of one page), two to four images that illustrate the proposal (sketches, Photoshop images, etc.) and CV or bio (not to exceed more than two pages, one page if double-sided.) The deadline for submissions is Thursday, Sept. 13 at 11p.m. Submit all materials as a single PDF to Lindsey Walker and Adela Park at arts@myphillypark.org. ​The submission should not exceed 6 MB. For questions concerning proposals, please email us at arts@myphillypark.org.